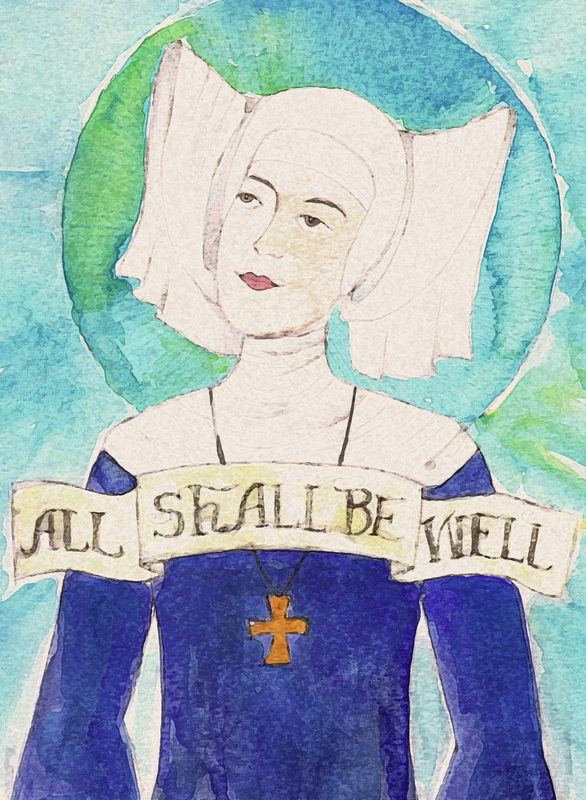 Julian of Norwich (1342-1416) was an English Anchoress. An Achorite or anchoress, is one who has “retired from the world” for religious reasons. An Anchoress would withdraw from society so as to be able to lead a life of intense prayer. A hermit- or hermitess. lol. It is thought she came to this after losing most of her family during the Plague. After a near-death experience, she claimed to have had a series of visions and wrote about them in her book “Revelations of Divine Love.” It is the earliest surviving book written by a woman. Here is what differentiated her from the crowd… She spoke about God has a loving and compassionate God, not a wrathful punisher (as most of the church believed.) Julian believed him to be merciful and full of love. She also believed that sin was necessary because it gave us self-knowledge and opened us up to accept God. Reading about her- I’m quite surprised the church did not have her charged with heresy. Sounds like a yoga mantra, I like it. young ladies die, the old babas never die. Grand Duchess Natalia Alexeievna of Russia (1755-1776) was actually born Princess Wilhelmina Louisa of Hesse-Darmstadt. In 1773 Empress Catherine II of Russia needed to find a suitable wife for her son Paul (King Frederick II of Prussia.) She couldn’t decide between Wilhelmina and her sisters Amalie and Louis, so she sent a flotilla of ships to fetch the girls so she could compare them- in charge of the ships was Paul’s best friend Andrei. Everyone was smitten with Wilhelmina and Paul selected her as his wife because she was beautiful, outgoing and vibrant. I can’t imagine the pressure of being Catherine’s daughter-in-law- whoa. Catherine needed to approve all the ladies’ outfits in her court as to be sure no one would out-shine her. eek. They were married in grand fashion and Wilhelmina changed her name to Natalia. After some time, the marriage seemed to fall apart. Natalia had a very public affair with Andrei (Paul’s BFF.) When Catherine found out Natalia was pregnant, she didn’t care whether the baby was Paul’s or Andrei’s… she just wanted an heir, so she overlooked the whole “affair” thing. Poor Natalia gave birth to a stillborn son in 1776- the baby was so big, they should have done a c-section, but they did not and Natalia died. Phyllis Wheatley (1753-1784) was born in Senegal, Africa. At the age of seven, she was sold to John and Susannah Wheatley in Boston, Massachusetts. Rather than keep her as a servant, she was raised as one of their own children. The Wheatleys taught her to read and write English and gave her a full education. In 1773 Phyllis released a book of 39 poems. It was the second published African-American poet and first published African-American woman. Although she died in poverty, her words were used by abolitionists in the 1830’s as proof that slavery should be abolished. -Phyllis Wheatley’s On Being Brought from Africa to America. Tomyris was a queen who ruled the Massagetae or Iranian people of Central Asia east of the Caspian Sea. This took place around 530 BC. 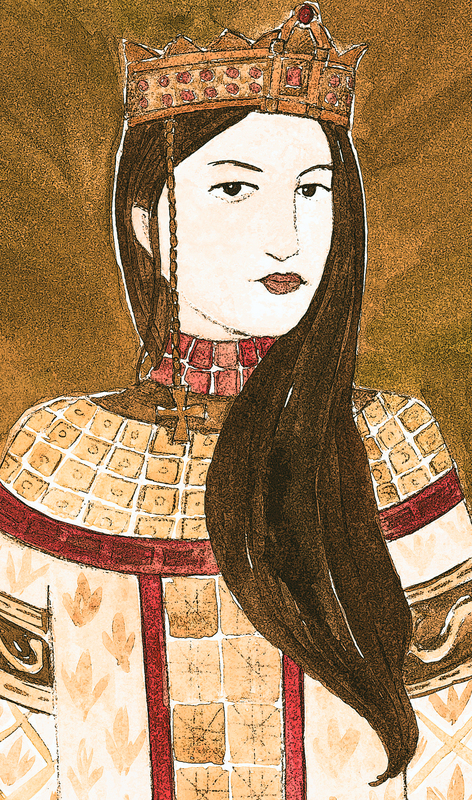 When Cyrus the Great captured her son, she challenged him to a battle… and she won. The Persians were defeated and Cyrus was killed. Tomyris had his dead body decapitated then crucified and is rumored to have carried the head with her at all times in a winesack filled with blood. She is quoted as saying “I warned you that I would quench your thirst for blood, and so I shall.” That’ll teach a mean ol’ emperor to mess with a mama bear. There are a lot of tall tales surrounding Tomyris, but she goes down in history as a very smart leader and Queen. 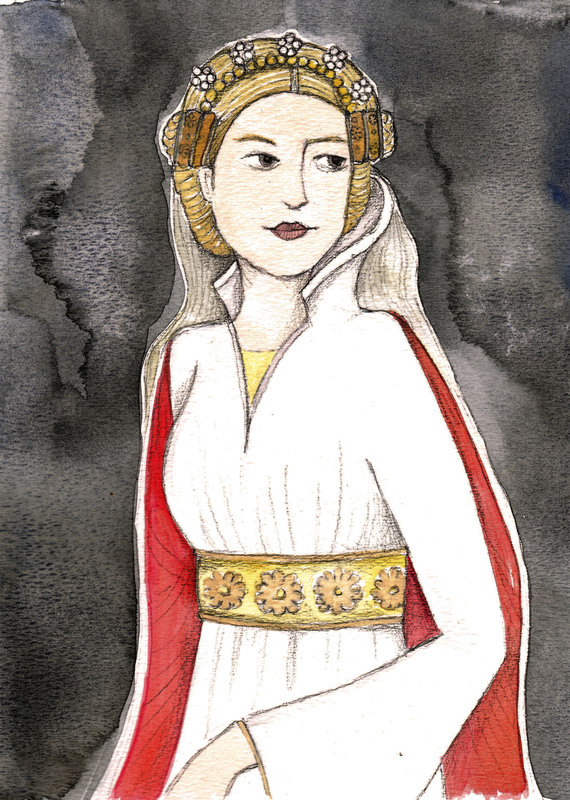 Anna Komnene or Anna Comnena (1083-1153) was quite the woman. A Greek princess, historian, scholar, physician, administrator of a hospital and an orphanage, and the author of the Alexiad. The Alexiad is an account of her father’s reign, Emporer Alexius I. Anna documented the Byzantine Empire’s interaction with the First Crusade and highlights the conflicting opinions of the East and West in the 12th century. It is divided into 15 books. Whoa. The Alexiad is one of the most important works in history as it provides insight into weaponry, military tactics, battles, events, etc. Although somewhat partial (praising her father) her accounts of the First Crusade are the only Hellenic account of that time. She studied philosophy, history, literature, grammar, theology, astronomy, and politics, held intellectual gatherings, treated her father during his final days and still had time to raise four children. I’m exhausted from just reading all her accomplishments. Wow. As mother of King Henry VII and paternal grandmother of King Henry VIII, Margaret led a life of devotion and purpose. She founded two colleges and had the first women’s college at the University of Oxford named in her honor. She restored the Church of All Saints in Martock, England, and constructed the church’s tower. If you’re caught up in the Starz series The White Queen, you’ll know that the show does not put her in the best light (I’m only two episodes in) so I decided to do a bit more research. I still need to do more reading, but my overall opinion is that although she was most likely NOT the life of any party- her devotion to her son drove her to do good and bad things. She was married 4 times- sort of. The first marriage is a bit of a sham as Margaret was only a year old. Her second marriage was at the age of 12 to Edmund Tudor- but he died of the plague and left a 13 year old PREGNANT widow. Her third marriage was to Sir Henry Stafford- her second cousin. They were happily married, but had no children and once again, Margaret was a widow at the age of 28. Her fourth marriage was to Thomas Stanley. Although the marriage was of convenience , this union allowed her to return to the court of Edward IV and Elizabeth Woodville. There are various stories that contradict each other about where her loyalties were- but as I mentioned, I think all of her motives trace back to the success of her son. Well, after a few rebellions and mishaps- Margaret took a vow of chastity and moved to Collyweston. She died at Westminster Abbey, and is buried in the Henry VII Lady Chapel of the Abbey. 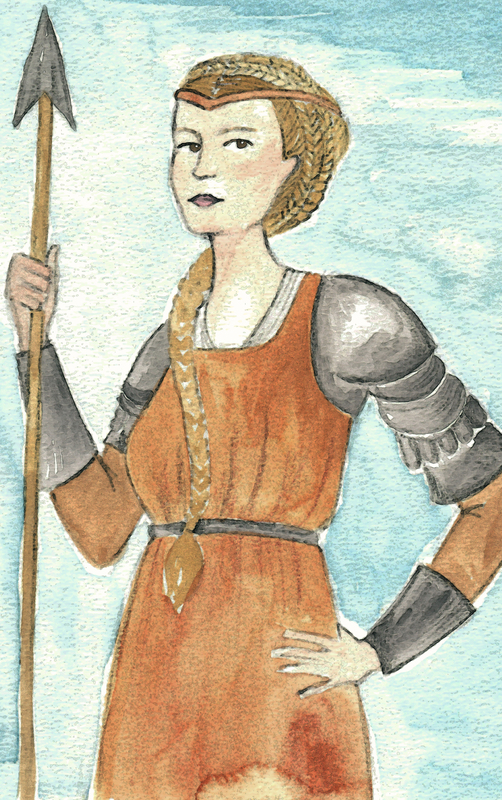 Mary de Bohun (1368-1394) was the first wife of King Henry IV of England, and mother to King Henry V.
As the daughter of Humphrey de Bohun and through her mother, descended from Llywelyn the Great, Mary and her older sister, Eleanor, inherited substantial wealth and power. 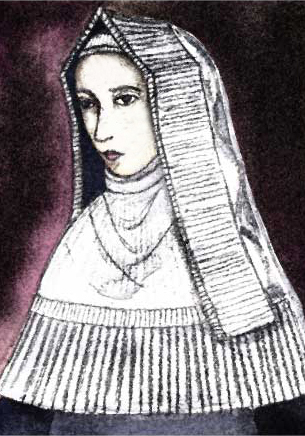 Eleanor was married to Thomas of Woodstock (youngest child of Edward III) and Thomas had no intentions of sharing his wife’s money- so he pressured Mary into becoming a nun. However, Thomas’ older brother John abducted her from the convent and had her marry his son- the future Henry IV. Needless to say, this caused a few problems between the brothers. Because Mary was only 12 when she married Henry, her father-in-law (yeah, the one that abducted her) arranged for the marriage to remain unconsummated until she was 16 (how kind of him.) BUT, the couple did not listen to him and Mary became pregnant at fourteen. She went on to give birth to 7 children- 6 living to adulthood. She died giving birth to her last child, daughter Philippa of England. Mary was never crowned a queen because her husband did not become King until after her death. 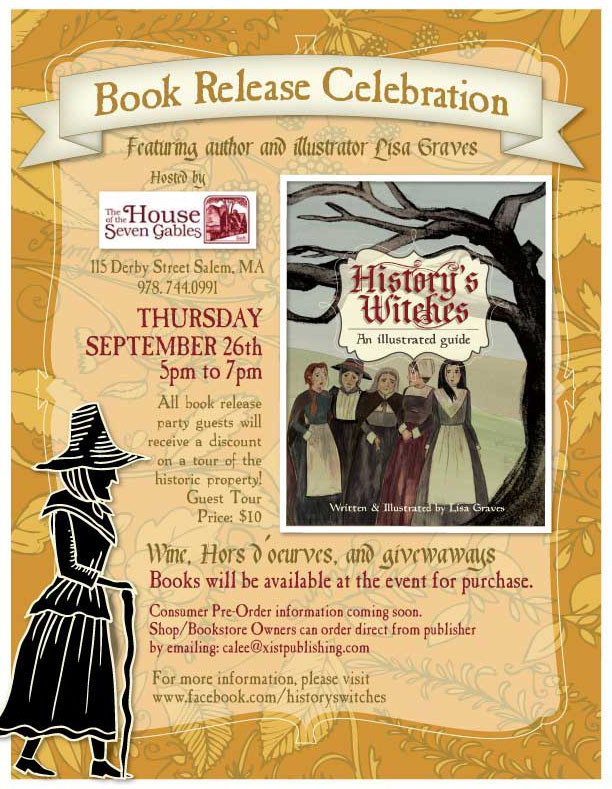 Hello Everyone- Very excited to announce that there will be a book party for History’s Witches in Salem, MA at the historic House of the Seven Gables on Derby Street. You can RSVP to this event on a facebook page created for the book: http://www.facebook.com/historyswitches. The stunning Marie José of Belgium was the last Queen of Italy. 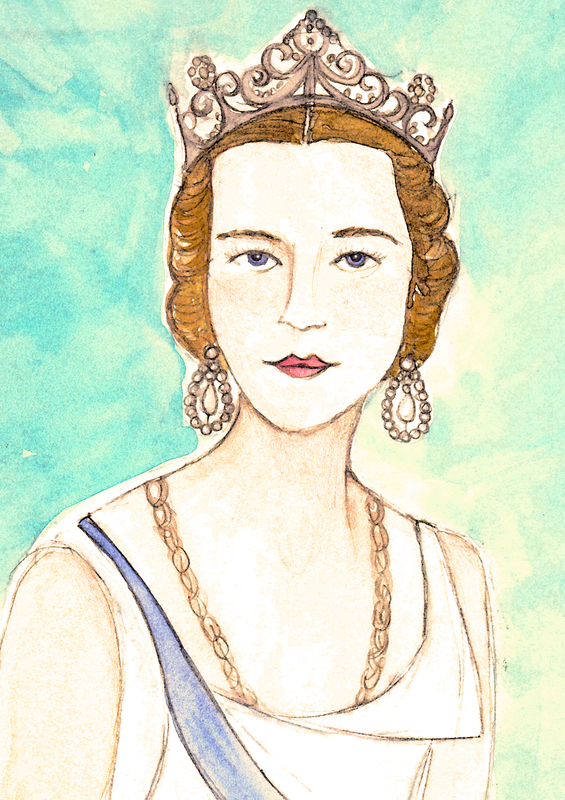 She reigned as consort for 35 days before the monarchy was abolished in 1946. She had four children from a very unhappy marriage Umberto III. 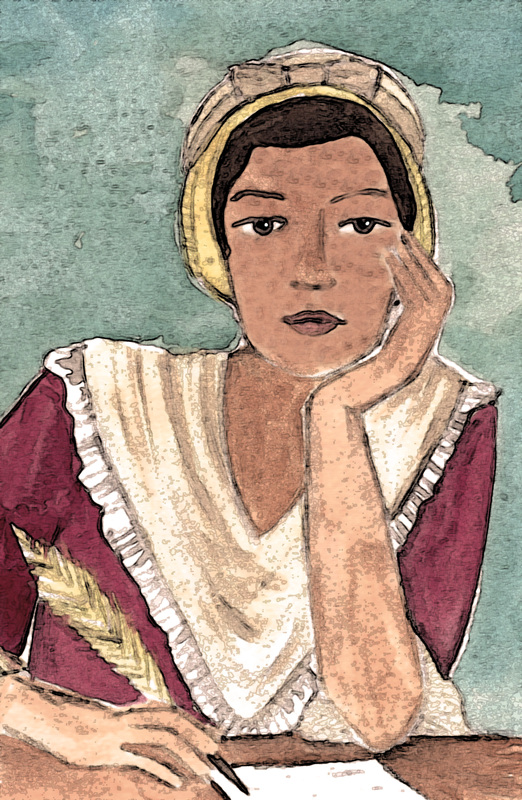 After they married, she was asked to change her name to the Italian- Maria Giuseppa, but refused. The couple spent the rest of the time in exile- spending time in Portugal, Switzerland, and Mexico- but eventually separated. Neither wanted a divorce due to their strong Catholic beliefs. Marie returned to Italy only after Umberto’s death in 1983. She died of lung cancer at the age of 94. Princess Amelia of the United Kingdom (1783-1810) was the youngest daughter of King George III. 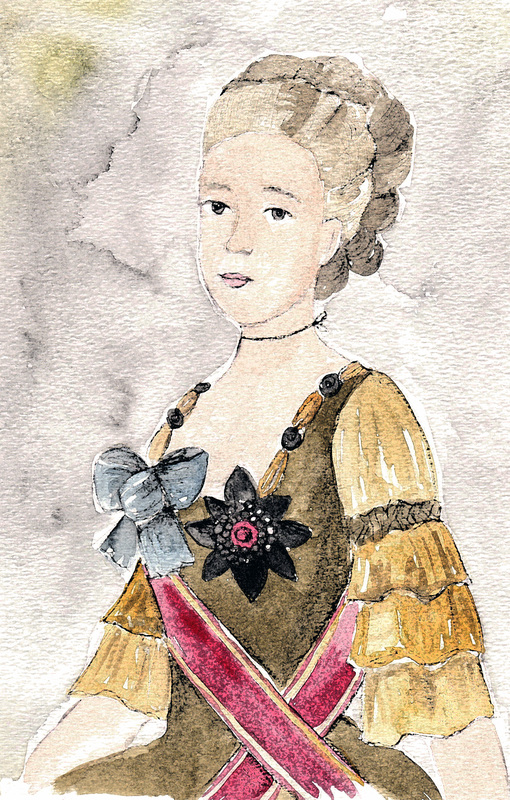 George had lost two beloved sons, so the birth of the princess (significantly younger than her siblings) was a sign of hope and she immediately became his favorite. It is said that Amelia understood her royal position at a very young age- when the famous Sarah Siddons wanted to kiss the beautiful baby Amelia- the toddler instantly held out her hand to be kissed. Well la-ti-da. Spoiled, yes, but also tragic. She spent her days with a number of illnesses that kept her away from court including Tuberculosis, Measles, and St. Anthony’s Fire (a bacterial infection.) Her hopes of marrying were quickly extinguished. She did manage to have a love affair with Charles Fitzroy, whom she loved. 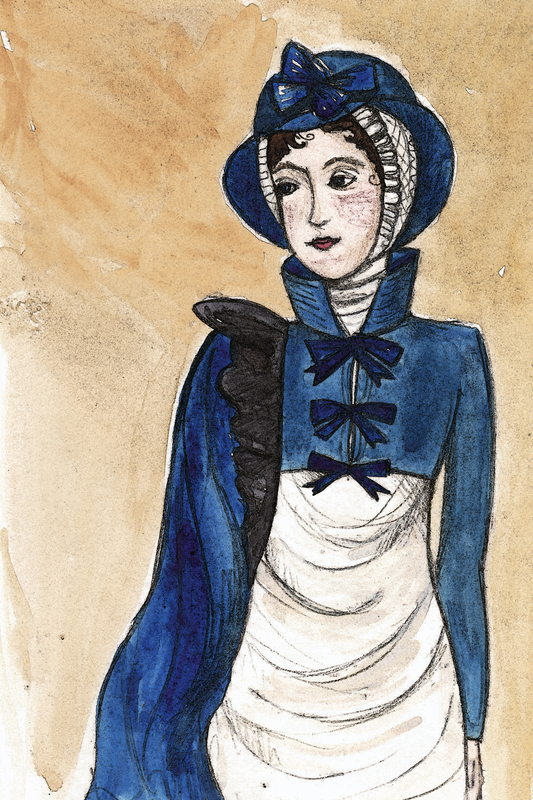 When she died in November of 1810, she left all her possessions to Charles. King George was heartbroken over her death (when he wasn’t in and out of his bouts of complete, clinical madness) and had a ring made from a locket of her hair. Hmmmm.